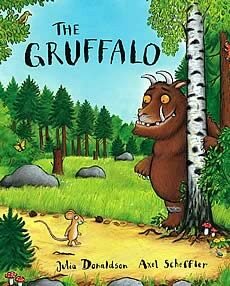 The Gruffalo tells the tale of a mouse and a monster. The mouse invents a monster to scare off animals that want to eat him. Imagine his surprise when he meets the monster he thinks he has invented! The Book Boys Sing The Gruffalo Song!